Another excellent book from Cathy O'Brien. This book is very much needed now in this political climate where people are still brainwashed into believing that 'they' wouldn't do things like that, that if this was really happening then 'we'd hear about it on the news!'. It is a very sad and extremely traumatic fact of life that 'they' DO do this and in ALL sections of society. It is very well hidden. This book helps to put right the wrongs that have been done to survivors. 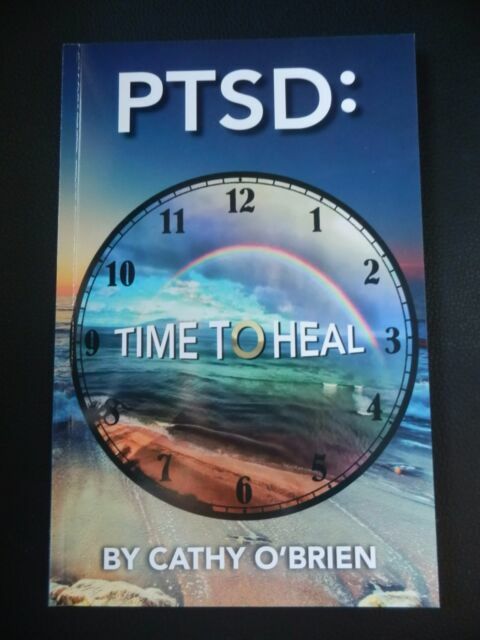 I highly recommend PTSD: Time To Heal - it is written by a supremely courageous survivor who has been through hell and back and now wants to sincerely help others. One is never alone with good advice! There are a whole lot of people with PTSD issues and this book has some excellent advice and exercises to get through realistic dysfunctional family and cult issues in order to move past the past and into a healthier future! This technique is very simple and can help anyone. I agree with the other review that we have all had some form of trauma in this world - though few can claim to have experienced the level of trauma Cathy O'Brien went through. She is a true testament of healing, and a powerful example of what her book shares indeed. I recommend this book to anyone interested in healing from painful experiences. I intend to share this book with many people. Gritty and raw and shocking, but I believe it. Hard to read, but sincerely presented. (well written but content is tough to absorb). Not for the faint-hearted.